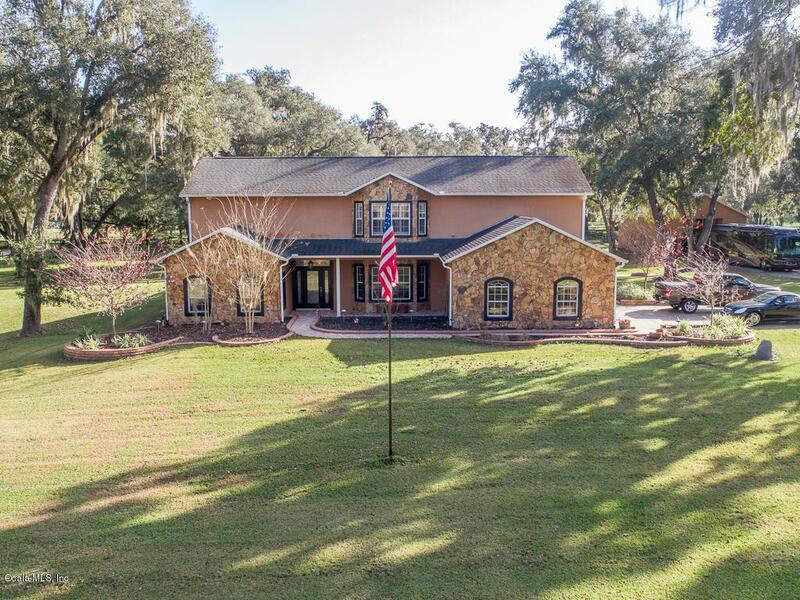 Expect to be impressed with this meticulously kept home situated on a 10 Acre Farm just minutes to HITS and to the World Equestrian Center (WEC). The screen enclosed pool/patio with ceiling mounted heaters provide warmth during the cooler evenings for true outdoor living. The home features Hickory wood floors, chef's kitchen, terrific fireplaces, and walls of windows for natural lighting. 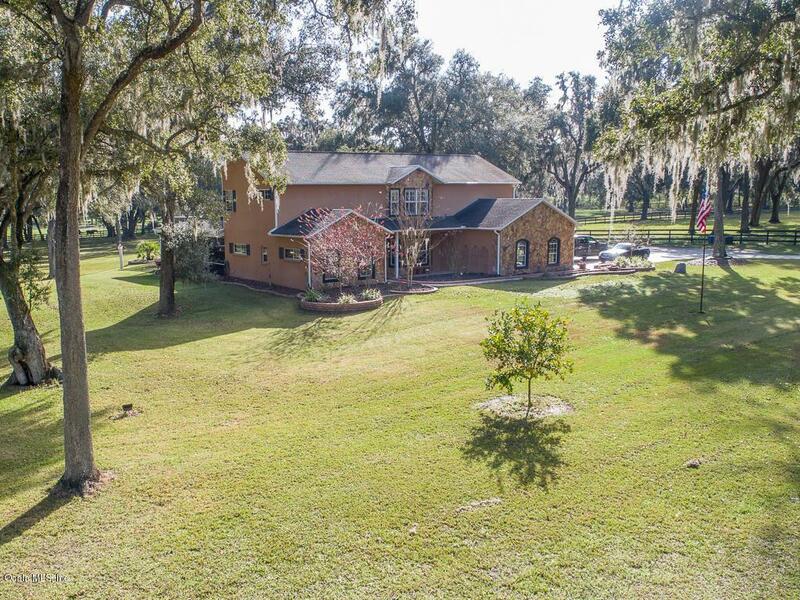 Luxurious second level owner's retreat has its own fireplace in a loft style setting. Plenty of closet space and shower for two. Adjacent room provides master suite luxury design opportunity with plumbing and AC already in place. 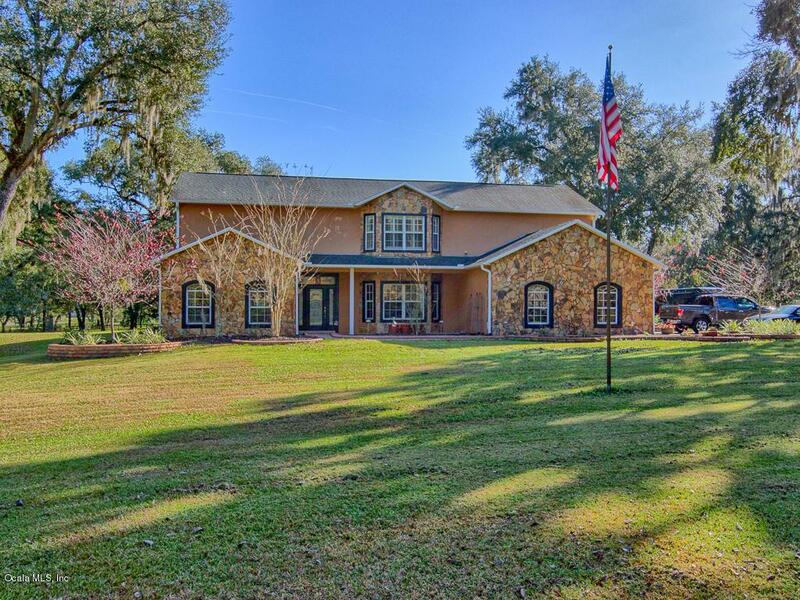 Amazing 30x50 block barn/garage/workshop with high ceilings to house a motor home. 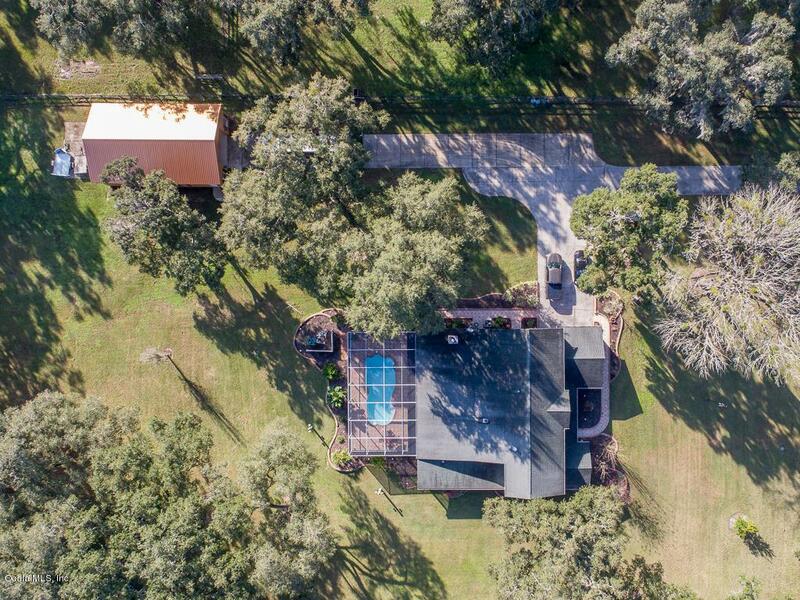 This is a perfect setting for your family in Ocala! Owner Financing w/20% down for 1 year.